Contemporary and sleek, the Lama Chair celebrates open work, linear details and a minimalist design. 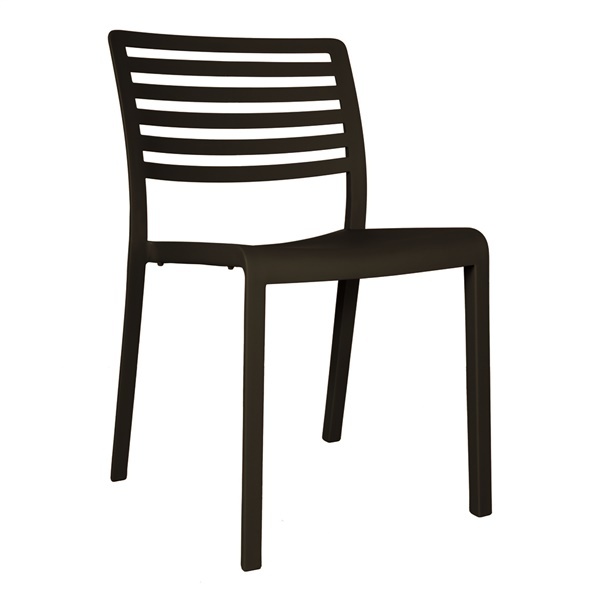 Beautifully made of polypropylene and fiberglass, this armless chair is environmentally friendly and 100% recyclable. Enjoy the Lama Chair in commercial and residential spaces, both outside and indoors. Select a color to best complement your existing d�cor. Designed and produced in Spain this chair will introduce a beautiful European flair into your space. Yes, this chair is stackable.